He may look like the perfect son-in-law, but Fabien Ruf, the Head of the Cultural Services of Lausanne, is not afraid to rock the boat. In just over a year, he has challenged the grants allocation process, is fighting to gain acceptance of culture as an economic driver and is now on a campaign to culturally charm the two out of five foreigners who make up the population of Lausanne. When Fabien Ruf was appointed in June 2007, his nomination raised a few eyebrows. A young technocrat was to succeed an arts passionara, Marie-Claude Jequier, whose reign over 20 years had made Lausanne one of the culturally significant small cities of the world. Ruf recognizes a heritage that includes the Ballet Béjart, the Lausanne Opera and the Théâtre de Vidy, although he then adds that “Times have changed”. Lausanne must uphold its reputation, but a number of important choices must be made in order to prevent quality dilution and audience fatigue. Breaking away from the mould, Mr. Culture is looking for economic viability, as well as originality. He argues that culture is not a one-way expenditure, but an investment that yields good financial returns. For this reason, grants will no longer be attributed according to sole artistic merit, since sustainability will also be an important criterion. Additionally, he wants to see more cooperation between neighboring cities and the region as a whole, particularly in the field of dance and opera. The upshot of thinking along new cultural management lines means that Fabien Ruf has been accused of being a philistine. He however defends the view that culture is an essential component of civilization and that it will always need strong public support to exist. On a more pragmatic level, he embraces the concept of “urban marketing”, of which culture is one of its pillars, along with education, sports and sustainable development. He is careful to point out that Lausanne’s cultural programme is reasonably priced and that many events are offered for free (Festival de la Cité, Fête de la Musique, Lausanne Estivale). He adds that good public transportation makes all venues accessible, which is more than most cities can boast. He should know: he doesn’t own a car. Fabien Ruf does, however, have a cultural problem of his own: he works and lives in a canton where the Protestant agrarian ethos forbids bragging: We know that we are good, but we can’t say so. For someone whose job is to promote Vaud, where does that leave him? He declares unashamedly that we live in one of the most privileged regions in the world, but one that can’t sell itself. And yet, in terms of marketing strategy, “It’s a win, win situation” he says of Lausanne’s attractive offer and the presence of so many multinationals. Creative environments attract creative people, but neither the tourism office, nor the DEV – the branch of the economic department whose role is to attract foreign companies – seem to understand this message, so he would like to take things in hand. He is planning to propose a custom-tailored “Discovery Culture Passport” to various companies. Some will prefer a youthful offer that could include, for example, the MUDAC, the design museum, the DOCKS, for the new rock scene and the ARSENIC for adventurous theatre and dance. Others will be looking for corporate entertainment opportunities and will prefer the LAUSANNE OPERA, the ORCHESTRE DE CHAMBRE DE LAUSANNE and the FONDATION DE L’HERMITAGE. Ruf is convinced that employees are happier and more productive when they also have a life outside of their professional shell. 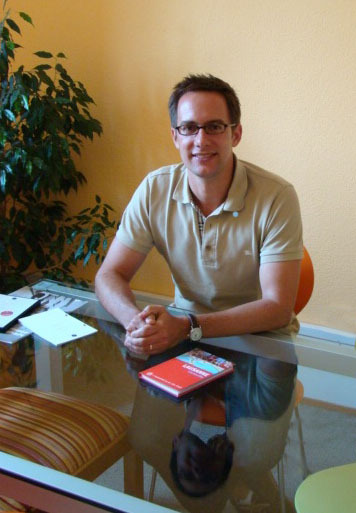 Conversely, he believes that good art projects help enhance Lausanne’s reputation abroad and reflect well on the companies who have chosen to be here. More pressing issues await him however. He has devised an ambitious five-year plan that will be put to a political test when the gradual CHF 3 million increase in funding that he is requesting will be submitted this autumn to the city parliament. In this plan, he dares propose solutions for Lausanne’s urban nightmare, the Place de la Riponne, with a theatre for children and an interdisciplinary cultural centre. If he succeeds, and obtains the credits to revitalize the center, the separate debate leading to the vote on 30th November on the art museum might be less acrimonious. Those who fear the displacement of the museum away from Riponne and down to the lake by Bellerive might feel assuaged. Lausanne’s claim to cultural fame appeared to be jeopardized with the progressive loss of important figureheads, including Maurice Béjart. But now, with a clear resolve to face the future and a finger on the pulse of the young, Lausanne’s cultural ambassador is taking a deep breath of satisfaction, even if he’s not allowed to show it.